Ebook and hardcover available here. 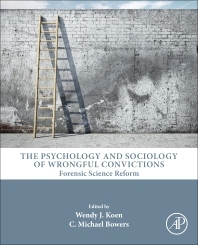 This entry was posted in wrongful convictions and tagged American Academy of Forensic Science, criminal justice, forensic psychology and sociology, Forensic science, wrongful convictions. Bookmark the permalink.